Just wanted to share some of my favorite thoughts on motherhood. Hope they bring you happiness, joy and inspiration. "In general you noble sisters are doing a much better job of holding it all together and making it work than you realize. May I suggest that you take your challenges one day at a time. Do the best you can. Look at everything through the lens of eternity. If you will do this, life will take on a different perspective." "I fear you sisters do not realize in the smallest part the extent of your influence for good in your families, in the Church, and in society. Your influence for good is incalculable and indescribable." "I truly believe you are instruments in the hands of God in your many roles, especially that of motherhood." "God entrusts women to bear and nurture His children. No other work is more important. 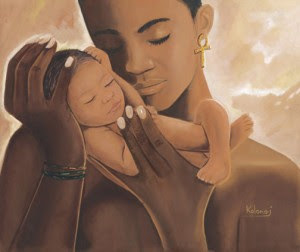 Motherhood is such an important role for women. Sacred blessings and righteous influence have flowed into my own life and my family’s lives from my beloved wife, her mother, my own mother, grandmothers, my precious daughters, and granddaughters." "She knows that the influence of righteous, conscientious, persistent, daily mothering is far more lasting, far more powerful, far more influential than any earthly position or institution invented by man." "Now, mothers, I understand that it sometimes appears that our children aren’t paying attention to the lessons we’re trying to teach them. Believe me—I’ve seen that glazed-over look that comes to the eyes of teenagers just when you’re coming to what you think is the best part of your instruction. Let me assure you that even when you think your daughter is not listening to a thing you say, she is still learning from you as she watches you to see if your actions match your words." "Of all the words they could have chosen to define her role and her essence, both God the Father and Adam called Eve “the mother of all living”—and they did so before she ever bore a child. Like Eve, our motherhood began before we were born. Just as worthy men were foreordained to hold the priesthood in mortality, righteous women were endowed premortally with the privilege of motherhood. Motherhood is more than bearing children, though it is certainly that. It is the essence of who we are as women." I like that quote by Sheri Dew, and what a perfect spokesperson for those words. With so many women in the LDS church struggling with feelings of equality and value in relation to the priesthood, it's something I've started pondering. Women advocating for female priesthood holders dislike the rhetoric "men have the priesthood and women have motherhood". Without hyjacking this post too much on words not blatantly connected with birth, I will simply say I have to agree. The act of mothering children has the seperate but equal male role of fathering children. However, I read an interesting post on a blog (titled something like), "women in the scriptures". While both men and women also have seperate but equal roles in creating life, women alone have been charged with the power to build a human body within their own and to birth that body. Considering breast feeding, they have also been given the power to continue to nourish and comfort those little babies through their first few years of life. According to sister Dew, the female power encompasses even more than nourishing and bearing life. That power truly and indisputably is given only to women. Personally, I think the author of the "women in the scriptures" blog is right...and now I feel like sister Dew is saying that, too. The female power is the counterpart to the priesthood power men are entrusted with. It's an interesting insight, and is humbling coming from a woman who has not yet had the opportunity to be a wife and mother. That power, while not conferred upon women through the laying on of hands (at least here), is inherent in our divine nature. Just because we haven't been given certain callings pertaining to that feminine power (those who do not become wives and mothers on earth) does not mean that power is not being used in other callings and it certainly does not mean that the power is any less in us.